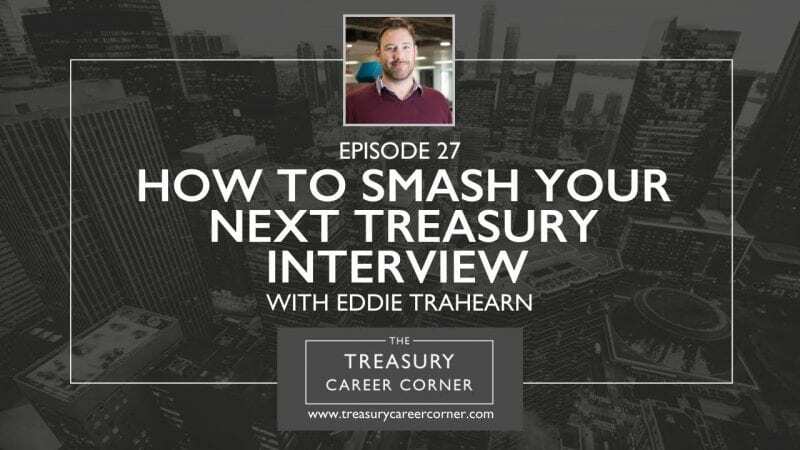 I’m thrilled to introduce you all to my special guest on this episode of the Treasury Career Corner podcast, Eddie Trahearn, Director of Treasury at Belmont Green Finance Limited. Based in Staines-upon-Thames, Surrey, Belmont Green Finance Limited is a team of experienced mortgage professionals who created Vida Homeloans, a new residential and buy to let mortgage lender which has now distributed over £1bn its products exclusively via intermediaries. Eddie has over 13 years of Treasury experience from trading through to implementation of Bank standard processes and controls. Initially at Alliance & Leicester through a short period of good times but then through the financial crisis, he formed an appetite for rapid change processes and implementation of process efficiencies. Eddie has recently been appointed to redesign and implement a Bank grade regulatory compliant treasury function as Belmont Green Finance look to diversify its funding structure and bring increased risk management capabilities across the enterprise. My conversation with Eddie has been one of my favourites on the podcast. We talk about the details of his past and existing roles within treasury, and he offers a unique insight into what it takes to smash a treasury job interview. I highly recommend you tune into this episode if you’re interested in pursuing a career within treasury and you want to brush up on your interview skills! If you’d like to get in touch with Eddie, you can reach out to him via his LinkedIn profile.